Rahul Singh is a popular actor, writer and stand-up comedian. 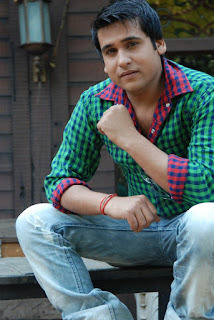 He is best known for work in DD Serial Janani, Kalpana and Star Plus serial Ruk Jana Nahi. Rahul Singh is a winner of Laughter Express Mahua channel. He was born in Jamui, Bihar. He completed his plus 2 education from High School Deoghar Jharkhand India and after that he went to Mumbai and join the Kishor Namit Kapoor acting school. After completing his acting course he got his first role DD serial Janani and then after Kalpana. Latest News: Rahul Singh looking in newly launched channel Star Bharat popular comedy serial "Kya Haal Mr Panchal" where is playing role of Pratap. Education Graduation from Mumbai university, Schooling from High School Deoghar, Jharkhand India.